The South is a special place with its own quirks and traditions, but it’s especially well-known for having a way with words. For instance, down south, “madder than a wet hen” means being angry, over there is a poetic “over yonder,” and “bless your heart” can be both an insult and a way to show empathy. Keep scrolling to see 23 Southern words and expressions you probably won’t hear anywhere else. Walt Disney PicturesY’all is super common. “Y’all” is typical Southern slang, but it’s also a proper contraction (you all = y’all). Southerners say this word all the time. “It doesn’t amount to a hill of beans” means that something isn’t worth much. “Bless your heart” shows sympathy… for the most part. TriStar Pictures‘Bless your heart’ has many meanings. “Bless your heart” has many different meanings in the South. Sometimes it’s used as a passive aggressive insult (a nice way for a polite Southerner to tell you that you’re wrong), and sometimes it’s used as an exclamation. The importance is the tone used. Southerners are never just getting ready to do something, they’re “fixin’ to” do it. “Fixin’ to” is a common phrase, especially in the South Atlantic and Gulf states, like Georgia and Florida. LionsgateThink of it as a form of Southern directions. “Over yonder” is a phrase that means something’s still typically in your line of sight, but far away. “Yonder” actually comes from a Dutch word, “ginder,” which means “over there.” It was adapted into famous Southern literary works, such as Mark Twain’s “A Connecticut Yankee in King Arthur’s Court,” and has been used in the South ever since. “Pretty as a peach” is a great compliment. In states known for their peaches, “pretty as a peach” is as good as a compliment gets. Jason Merritt/Getty Images for iHeartMediaNobody knows where this phrase came from. Some trace this exclamation back to the Revolutionary War and Betsy Ross, but there’s no evidence of where “heavens to Betsy” really came from. Hens sometimes enter a phase of “broodiness,” meaning that they will do anything to incubate their eggs and will get agitated when farmers try to collect them. Farmers thus dunk hens in cold water to “break” their broodiness… and hens don’t like that one bit. Bill Kasman/PixabayIf something is cattywampus, it’s messy or out of whack. “Cattywampus” comes from the 19th century, and is a variation of the word “catawampus,” which can mean “destructive. “She’s as happy as a dead pig in the sunshine” is positive, despite the sad connotation. When a pig dies outside, the sun will dry out its skin, pulling its lips back to reveal a toothy “grin,” making it look happy. This expression refers to someone who may be blissfully ignorant of something. “I’m finer than frog hair split four ways” means you’re good. 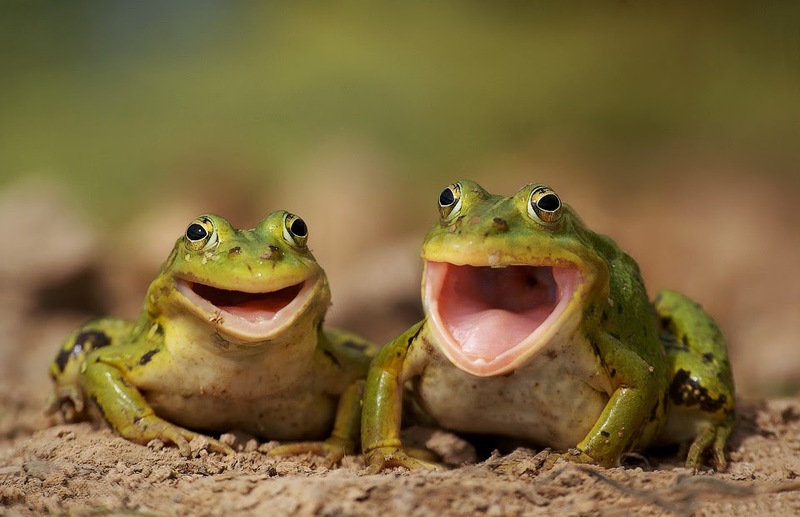 This phrase is often used by Southerners to answer the question, “How are you?” While we all know frogs don’t have hair, it means to ironically highlight just how dandy you feel. Wikimedia CommonsThere are plenty of names for crawfish, but Southerners prefer crawdad. “Crawdad” is mostly used in Louisiana, but is common across the South. Sometimes crawfish are also called freshwater lobsters or mountain lobsters. You have a “hankerin'” when you’re really in the mood for something. gpointstudio / Shutterstock‘Hankerin” can also mean having a craving. You’ll mostly hear this one in the deep South, like Georgia or Alabama, and often in regards to food. Paramount Pictures‘Might could’ isn’t exactly proper English, but it’s popular in the South. “Might could” just refers to a possible willingness or ability to do something. “He could eat corn through a picket fence,” refers to an unfortunate set of buck teeth. Imagine a horse eating a carrot, and you’ll get the picture. “Take your own sweet time” means you’re taking too long. “Take your own sweet time” means that someone is doing something as slowly as they feel like, even though everyone else wants them to hurry up. It’s often used sarcastically. “What in the Sam Hill” is another exclamatory phrase. Apparently, there once was a Sam Hill that used such vulgar language that his name became a euphemism for cuss words. Southerners love using euphemisms in place of real swearing. “Well, I’ll be” expresses surprise. This expression of complete shock is typically a reaction to a recent revelation. “Thingamajigger” is the word for something you’ve forgotten the name for. d13/ShutterstockThis one’s been around since the 19th century. Other options for this word include “dohickey,” “thingamabob” and “whatchamacallit.” These terms have been popularised by popular children’s stories, like “The Little Mermaid,” as well as Dr. Suess books. “Coke” refers to all soda. Alberto E. Rodriguez/Getty Images for Disney‘Shush’ is another one. Southerners love to make things sound nicer than they are, so “hush up” is a way to tell someone to “shut up” without sounding too harsh. “Shut up” is viewed as rather rude in the South. If you look like a “ragamuffin,” you don’t look good enough to leave the house. Touchstone Pictures‘Ragamuffin’ basically means disheveled. Sometimes this can mean a poorly clothed or disreputable person, as well. “Goodness gracious” is a classic Southern exclamation, though it has caught on across the country. Walt Disney PicturesIt’s another Southern euphemism. “Goodness gracious” comes from the 1700s, and can mean surprise, shock, or dismay.